BAGUIO CITY – Mayor Mauricio G. Domogan joined the position of Benguet mayors in underscoring that the proposed creation of the Baguio-La Trinidad-Itogon-Sablan-Tuba-Tublay (BLISTTDA) should not serve as another layer of bureaucracy or conflict among the concerned local governments with overlapping functions. Domogan, together with la Trinidad Mayor Romeo K. Salda, Itogon Mayor Victorio Palangadan, Sablan Mayor Arthur Baldo, Tuba Mayor Ignacio Rivera and Tublay Mayor Armando Lauro proposed the need for the proposed BLISTTDA to be streamlined to avoid the possible occurrence of conflicts among the concerned local governments so that it will not become a super body that will lord it over the affairs of the local governments that will run counter to the provisions of the Local government code. The local chief executives proposed for the deletion of the provision of the BLISTTDA bill empowering the President to appoint the Executive Director considering that officers of the BLISTTDA should be a rotation among those officials of the local governments comprising the BLISTTDA. Domogan explained that the powers of the BLISTTDA should be clearly defined so that projects funded by the local governments and government agencies implemented within the jurisdiction of the BLISTT will not pass through the development authority and it will only the projects that will be funded by the BLISTTDA which will be implemented, supervised and controlled by the said body. 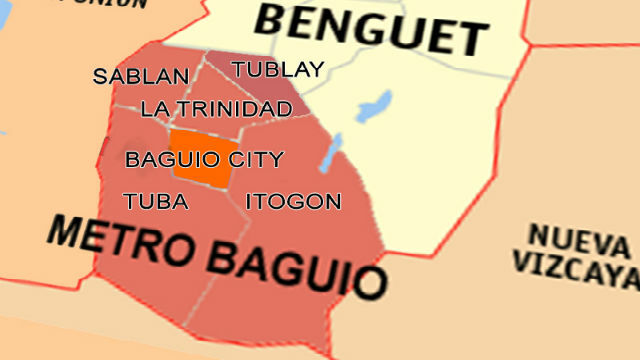 The establishment of the BLISTT was an offshoot of a European Union urban planning study that was conducted in the city which recommended that development opportunities should not only be confined in the city but the same should be shared to the different towns surrounding Baguio city, particularly La Trinidad, Itogon, Sablan, Tuba and Tublay. Earlier, the Regional Development Council (RDC) in the Cordillera initially created the BLISTT Governing Board and BLISTT Development Board to look into the implementation of priority programs and projects in the BLISTT. Domogan pointed out that the set-up of the BLISTT under the umbrella of the RDC-CAR would be replicated to avoid establishing another layer of bureaucracy and that what should be provided is the funding requirements to ensure its sustainable operation. He emphasized that the concept of the BLISTT is not actually a new idea but it was a product of a comprehensive study that was done over two decades ago wherein urban planning experts from the European Union came to the city to look on how to spread out the projected influx of development in the city being one of the highly urbanized centers in the country. At present, the BLISTT Governing Board is chaired by Mayor Domogan and that its quarterly meetings are conducted in the different member local governments where priority development programs, projects and activities in the BLISTT are being deliberated and agreed upon by the members of the board. He expressed support to the proposed refinement of the BLISTTDA bill that is pending in Congress so that it will suit the greater interest of the BLISTT local governments who will directly benefit from the put up of the said body once ratified by the people.